We had quite the nice turnout this evening! Our newest members, Linda and Janie, had a great time and we are thrilled to have them in the group. 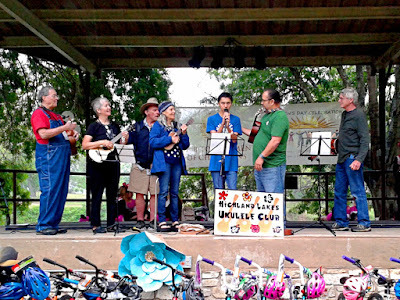 The annual Children's Day celebration in Marble Falls, TX is dedicated to honoring and supporting children in the Texas Hill Country. It has grown to include opportunities for learning, activities, food, sports and entertainment. 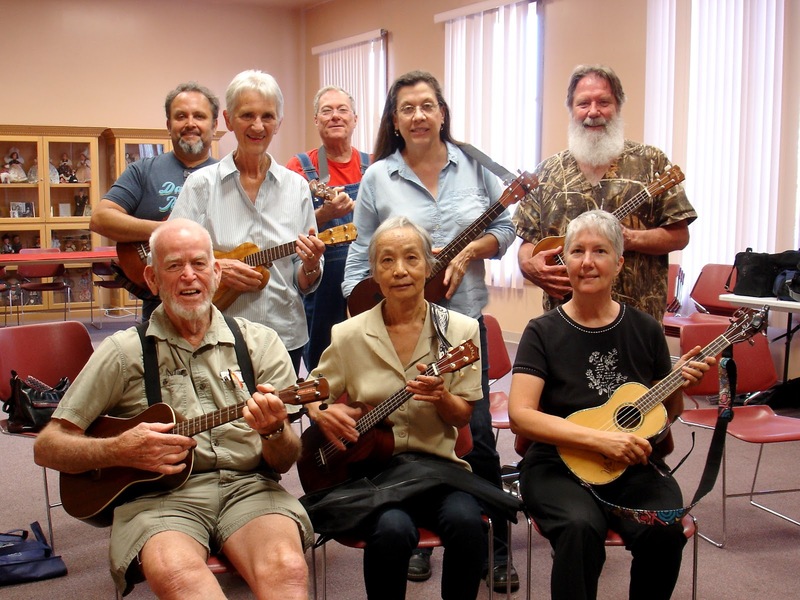 Our member William entered the Talent Contest, booked as "A Special Teen and Ukulele Friends". He and his father Mario joined the club about 6 months ago for fun, relaxation and to help with William's progress in his therapy for Autism. It has helped him a great deal and members of our club backed up his presentation. We had a wonderful time showcasing the benefits of music for everyone, everywhere! 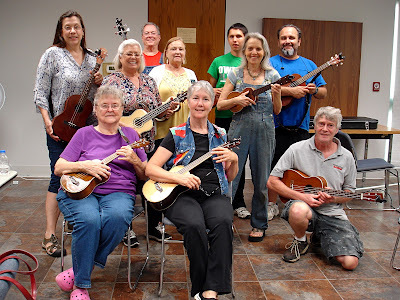 Our second Thursday meeting at Llano Library was great fun as always. Once in a great while one of our original members Virginia is absent because of life stuff and we missed her. Here's hoping she's back soon!